Thanks for the great feedback about keeping this series here. (Although it seems as if once a month might be my posting schedule for a lil' bit.) I've been pulled in a lot of different directions lately, not all of them deserving complaint. And to all who checked in and suggested I stop to get some rest, I've taken note, I promise. As I write this, we are were in the midst of reconnecting with each other as a family in Italy. The month prior to our trip felt like a strange square dance in which Chris and I kept passing Quinn off to one another without stopping to a) dance with each other or b) rest our feet as a family. We've needed this time for awhile. This was my first time to Italy, and I wanted to pinch myself at every passing gondola or square with a lion-spitting fountain in its center. There have been moments since we arrived when I've caught my breath in my throat to ward off tears because these are things that a couple of years ago I thought I might never get to experience. We're doing a lot of walking, so I'm not sure we'll get much actual rest for our feet, but we're being fueled by pasta and wine and gelato so I think we'll be okay. We averaged more than six miles a day, and Quinn kept up like a champ. We were more than okay. Now that I'm home, my body actually craves the movement...and the gelato. More on how to do a trip to Italy with a 4-year-old coming up in a post soonish. Posts might be a little spotty here for a couple of weeks, but I'll try to manage an occasional photo of my bambino enjoying the sights. We had really terrible internet coverage when we had it at all, then I was too jet-lagged to even form sentences for a couple of days, and then I had chemo on Friday so I'm still having trouble forming sentences. But I do hope you saw some of the photos of Quinn over on my Instagram account. Here's what I've seen around the web the last couple of weeks month. If you have something you'd like me to include in future editions, please send me an email (jen dot campisano at gmail). "In its complaint, the F.T.C. called all four of the cancer groups “sham charities,” charging the organizations with deceiving donors and misusing millions of dollars in donations, including putting money toward personal expenses like carwashes and college tuition, from 2008 to 2012." ""It is with broken hearts that Hallie, Hunter, Ashley, Jill and I announce the passing of our husband, brother and son, Beau, after he battled brain cancer with the same integrity, courage and strength he demonstrated every day of his life," Joe Biden said in a statement issued by the White House." 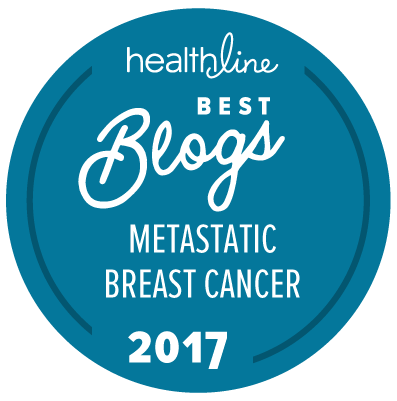 "Metastasis occurs when cancer cells break away from a tumor and travel to distant parts of the body—the most dreaded event for a cancer patient. It is a mystery why some cells are able to travel through the body while others are not. Researchers from the University of Michigan, comprising a team of oncologists and engineers, have developed a new technology to help unlock this code. A groundbreaking new study released in “Scientific Reports” describes a device that is able to sort cells based on their ability to move. The device allows researchers to take the sorted cells and compare the ones that are highly mobile to the ones that are less mobile. Understanding the differences in gene expression between these two types of cells can help identify why some cancer cells can spread to other parts of the body." To be clear, this is still in the earliest, pre-drug stages. Super cool stuff nonetheless. "There are currently no approved treatments that specifically target the ability of HER2 cells to join together or with other proteins, an essential first step in tumor growth. Lupu and her colleagues are now confirming the antitumor activity of this potential HER2 “master switch” in animal models. They will then move on to clinical testing, and the investigation of drugs—such as mimetic agents, targeted antibodies, and small molecules—that could specifically block this site responsible for HER2’s oncogenic potential. “This drug does not yet exist; it is a promising area of future research,” said Lupu. “We believe that there is definitely hope because this is the first time that anybody has identified any region that blocks homodimerization and heterodimerization, which will simplify the treatment of the cancer. Rather than combining two, three or four drugs together, this will be a one-stop-shop.”"
In my mind, this is HUGE news. "Breast cancers can manipulate the structure of bone to make it easier to spread there, a study has found. The study, in the journal Nature, said it may be possible to protect bone from a tumour's nefarious influence and consequently stop the cancer's spread. . . . They are already given to some cancer patients, but the Sheffield team believe they could have a much larger role." "Promising clinical trial results presented at the American Society for Clinical Oncology (ASCO) Annual Meeting 2015 show activity of the investigational anti-cancer agent ONT-380 against HER2+ breast cancer, in one case specifically against brain metastases and in another case in overall survival of heavily pretreated HER2+ breast cancer patients. "I am thrilled to have been able to offer this therapy to a patient in her early 40s. She didn't have any other great treatment options that we would have expected to have any meaningful impact, especially on her brain. Now she's been on the study over a year. The mets in her body are gone and the brain lesion has shrunk down to a little nubbin. She's living a normal life, fretting about the family business and how the kids are doing -- normal stuff," says Virginia Borges, MD, MMSc, director of the Breast Cancer Research Program and Young Women's Breast Cancer Translational Program at the University of Colorado Cancer Center and one of the study's authors." "Immunomedics, Inc., (IMMU) today announced that among 49 patients with metastatic triple-negative breast cancer (TNBC) evaluated for response to treatments with sacituzumab govitecan in a mid-stage clinical study, 31%, or 15 patients, showed a reduction in tumor size of 30% or more. They include 2 patients with complete response. Response assessments were based on the rules set by the Response Evaluation Criteria In Solid Tumors (RECIST 1.1). Adding the 22 patients with responses between less than 30% tumor shrinkage and less than 20% tumor increase, the disease control rate was 76%. . . . The U.S. Food and Drug Administration has designated sacituzumab govitecan a Fast Track development program for the treatment of patients with TNBC who have failed prior therapies for metastatic disease and patients with small-cell or non-small cell lung cancers." "A new drug that unleashes the body’s immune system to attack tumors can prolong the lives of people with the most common form of lung cancer, doctors reported on Friday, the latest example of the significant results being achieved by this new class of medicines. The finding could potentially extend use of these drugs to some patients with colorectal cancer, prostate cancer and other tumors that have seemed almost impervious to the new drugs. Most of the substantial results so far with these expensive drugs have been in treating melanoma and lung cancer." "A type of immune cell can be primed to attack and eliminate various kinds of malignant cancers in mice, according to a study by Stanford University School of Medicine researchers. The researchers studied mouse models of melanoma, pancreatic, breast and lung cancer and found that their technique could eliminate not only primary tumors, but also distant metastases throughout the body. “The potency is impressive,” said Edgar Engleman, MD, PhD, a professor of pathology and of medicine at Stanford and the senior author of the study. “You actually see tumor eradication.”"
A trip to Italy, how awesome! I would like to visit one day. So glad your sweet family was able to reconnect in a different way. A break is always needed in order to recharge. Happy for you. I love the new developments you have shared here. Especially the one about TNBC and the one about stopping cells from spreading to the bones. That is incredible! I will be sure to share the TNBC article with my friend who is now stage 4 (with multiple spreads). She is doing a trial now, for over a year, but wants to stop because it is too much for her to handle. I am hoping they can let her enter another trial as some of them seem to be getting great results. I just dislike how you have to meet a certain criteria in order to be part of it. Thank you for taking the time to collect all these encouraging news. I hope you're planning your next getaway. And did I mention your son is adorable? And yes, Italy was the PERFECT way to unwind and recharge! You should definitely go someday. September should be beautiful! Enjoy!